the role of international and regional competition law regimes (OECD, UNCTAD, WTO, ICN, Mercosur). The book’s consolidated research on Brazil’s cartel investigations clearly describes the main defence theories and the courts’ decisions. The authors also explore the relationship of Brazil’s antitrust law to the country’s public policies in the areas of consumer rights, public procurement, and measures against corruption, with special emphasis on the synergies arising from antitrust law and consumer protection. It is worth noting that the studies carried out in this book discussed Law No. 8884/94 (Brazilian Antitrust Law) and the New Brazilian Antitrust Law, which was passed on 5 October 2011, and which will be enforced in 2012. With its unique synthesis of constitutional law, comparative antitrust law, and CADE’s case law, this book will be welcomed by competition lawyers and other parties interested in methods and procedures used in merger and conduct control, and especially in anticartel enforcement, in developing countries. Chapter 2 Constitutional Postulates and the Enforcement of the Constitution /. "It is a must have for anyone interested in the theory behind, and the evolution and workings of Antitrust Law in Brazil." 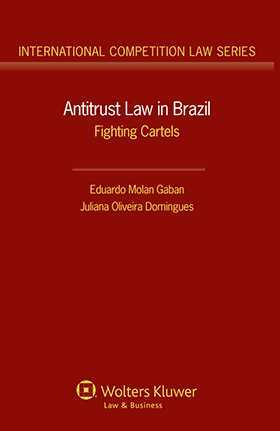 "This thorough and informative volume on antitrust law in Brazil … is an especially welcome addition to the literature. ... The book is an unusual combination of theory, concept, doctrine, facts, and figures. It should be of value to practitioners and scholars alike." Prof. Eleanor M. Fox, New York University School of Law, New York.